Surprise your guests and attract their eyes! 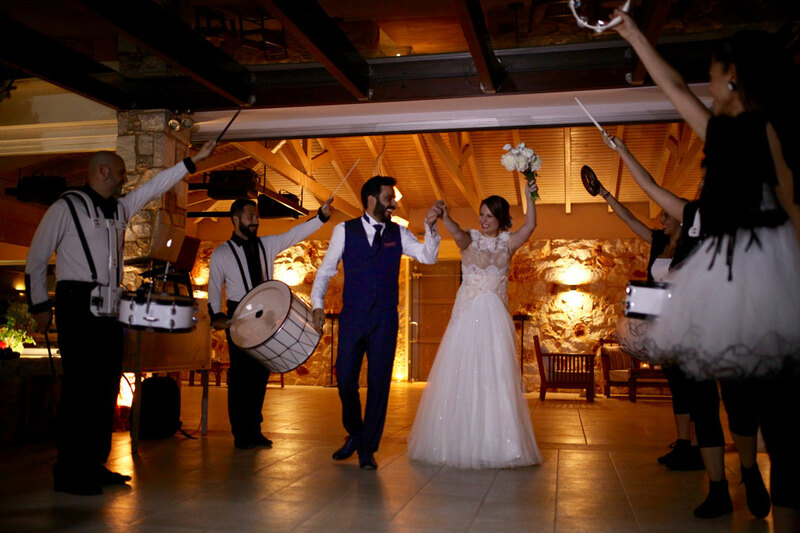 We suggest and realize a fresh idea for the couple’s entrance at the wedding reception. Our band shows up shortly before the couple on the party floor. 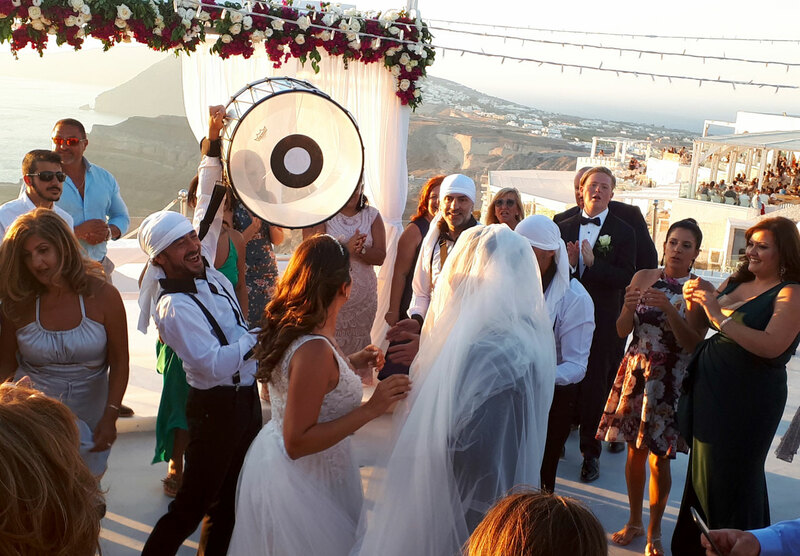 The goal is to surprise, attract the guests’ attention and set up a dynamic ambience for the couple’s entrance. The entrance song will be playing at the same time on the venue’s speakers as a background track. A mini party might also follow right afterwards. 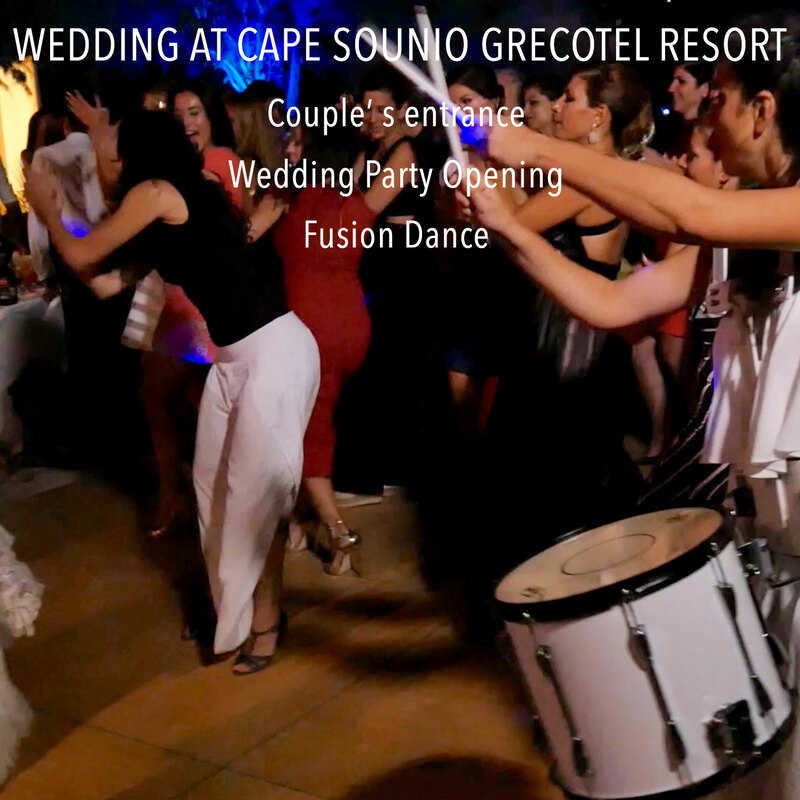 Couple' s entrance and Wedding Party Opening with 3 male and 3 female drummers in Black & White costumes. 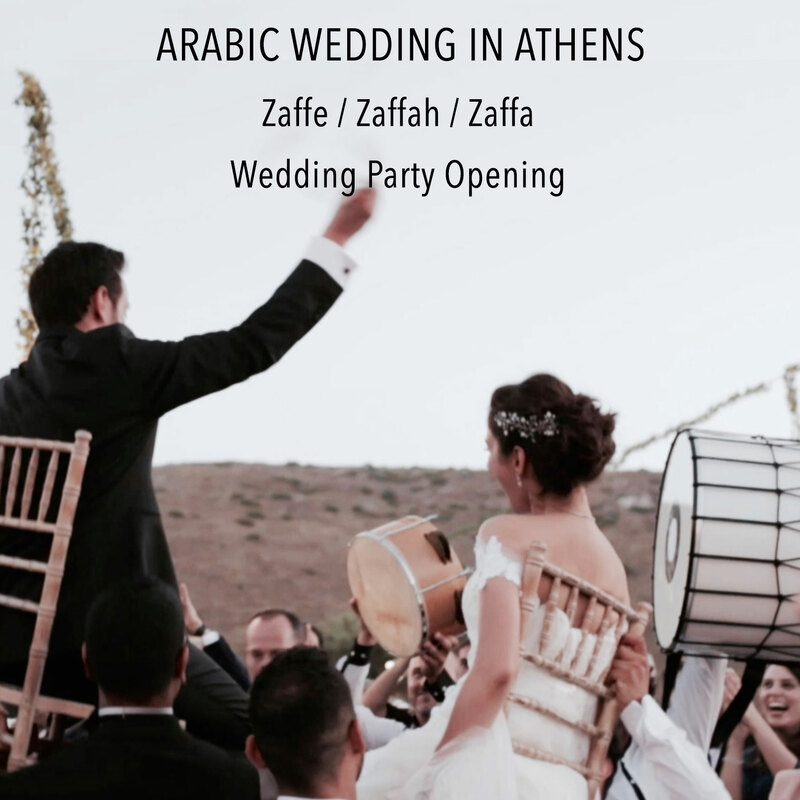 Zaffe / Zaffah / Zaffa: Couple' s Entrance at Arabic modern style wedding. 4 male drummers in Black and White Costumes and traditional white head covers. 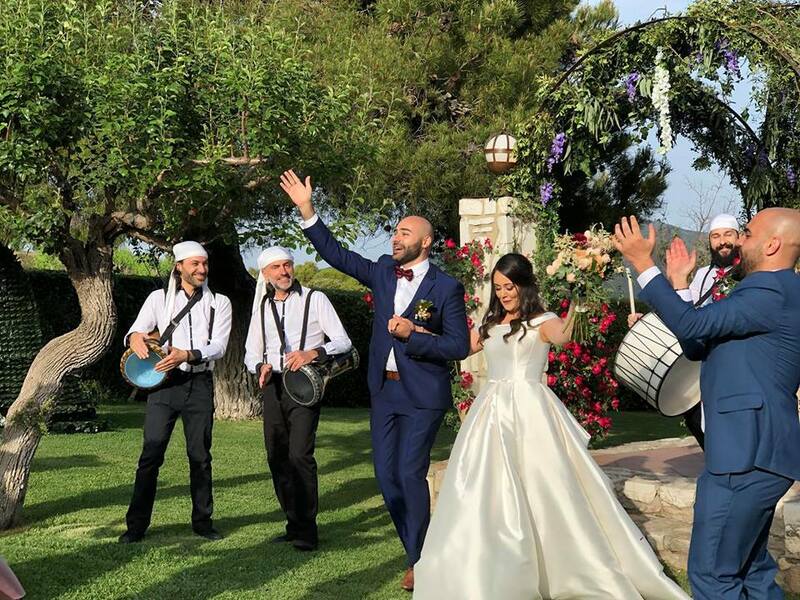 Couple' s Entrance with Zaffe / Zaffah / Zaffa at Arabic modern style wedding. 3 male drummers in Black and White Costumes and traditional white head covers. 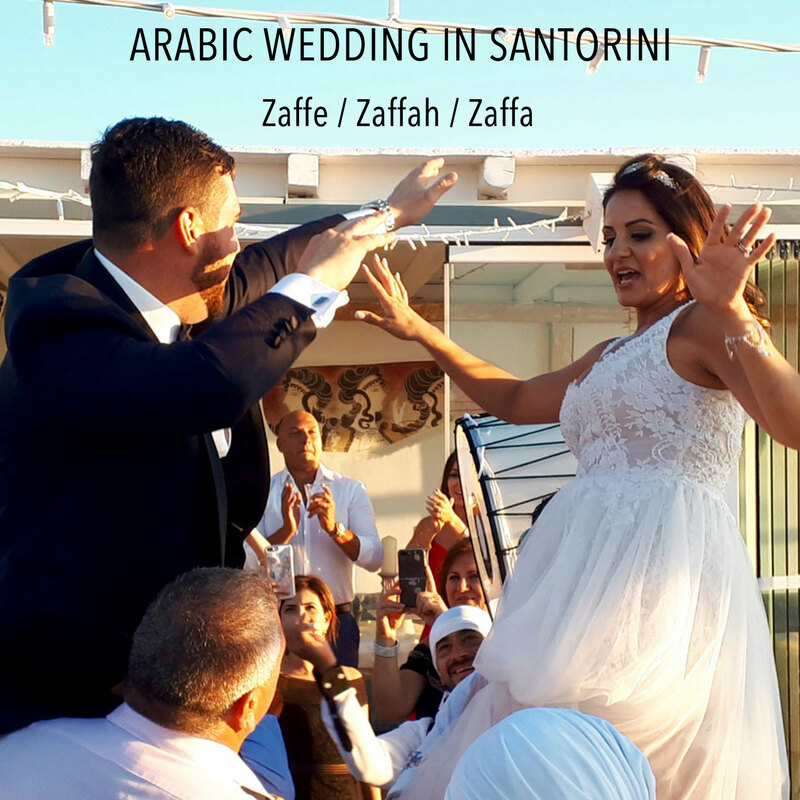 Couple' s Entrance with Zaffe / Zaffah / Zaffa and Party Opening at Arabic wedding. 4 male drummers in Black and White Costumes and traditional white head covers. 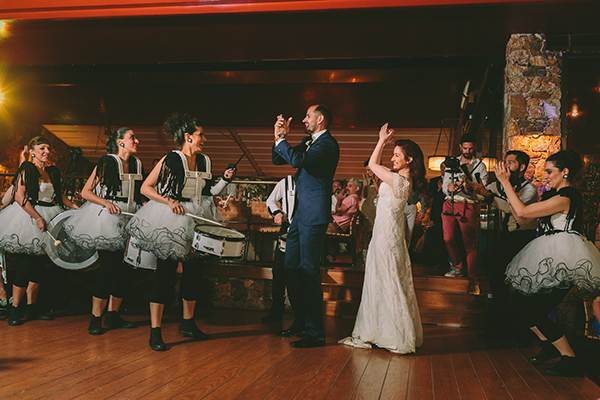 Entrance of the couple with 8 drummers (4 women/ 4 men) in Black and White costumes.